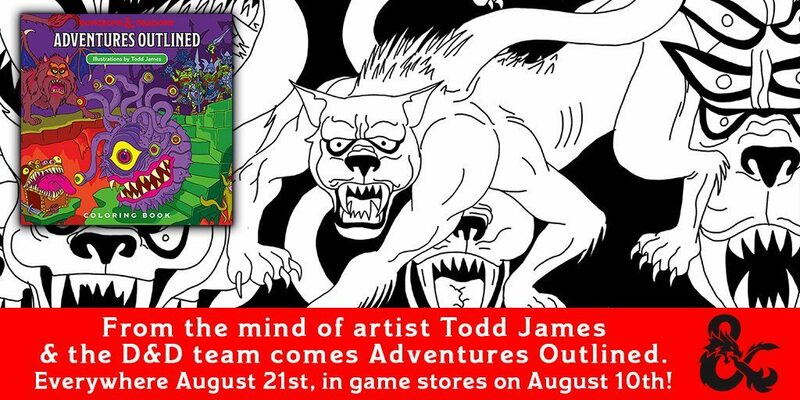 Adventures Outlined, is available now in game stores and will be available everywhere on August 21st, 2018. 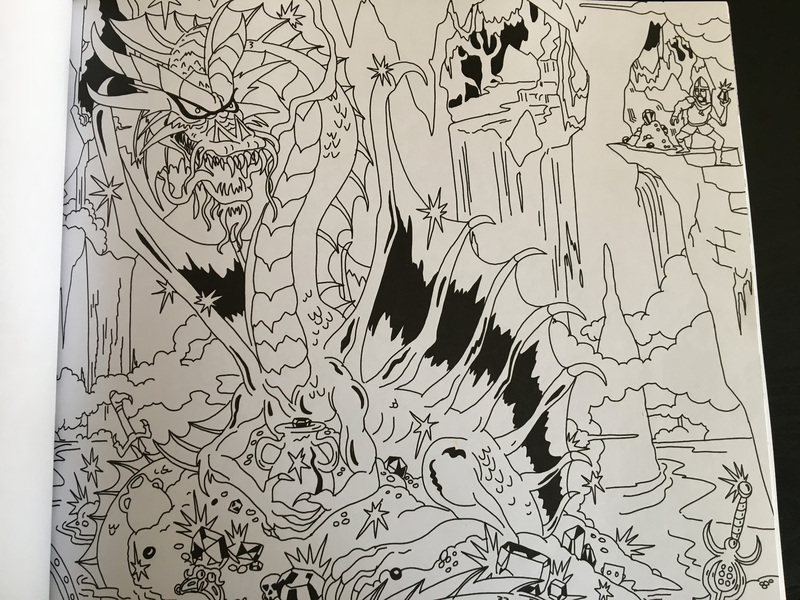 As you color your way through this book, you’ll find over 40 illustrations of ettins, beholders, sahuagin, rakshasa, trolls, dragons, blink dogs and more. 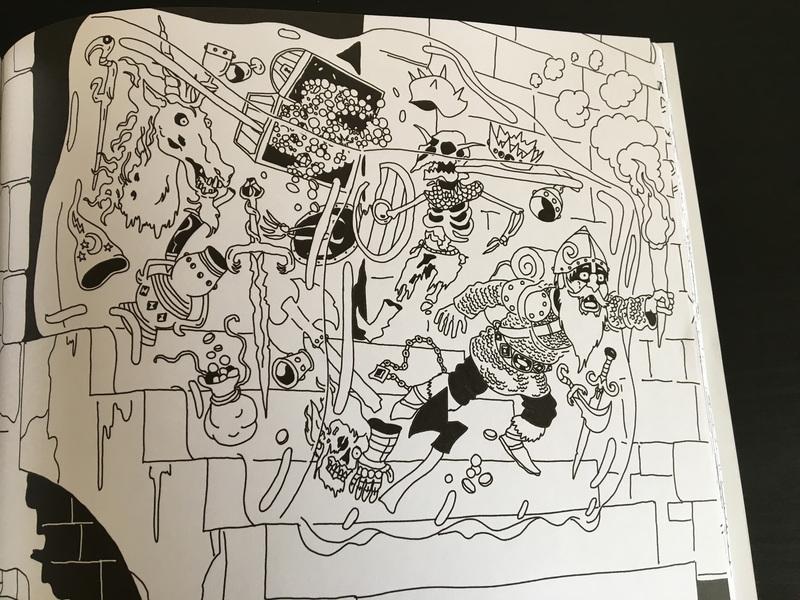 The illustrations are by Todd James and the quips and lore are by D&D writer Adam Lee. 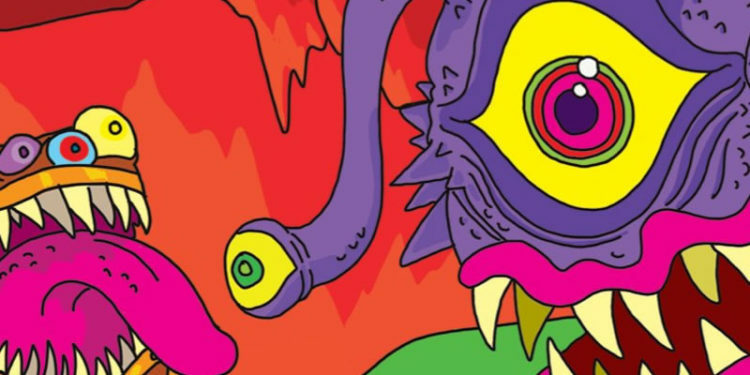 Todd James (aka REAS) is a contemporary artist from New York City and you’ve seen his D&D artwork in Dragon+, on t-shirts and more. You can see a few photos of the book I took as I flipped though my copy which arrived yesterday. 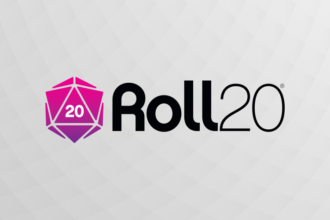 Here is the product info from the D&D site. 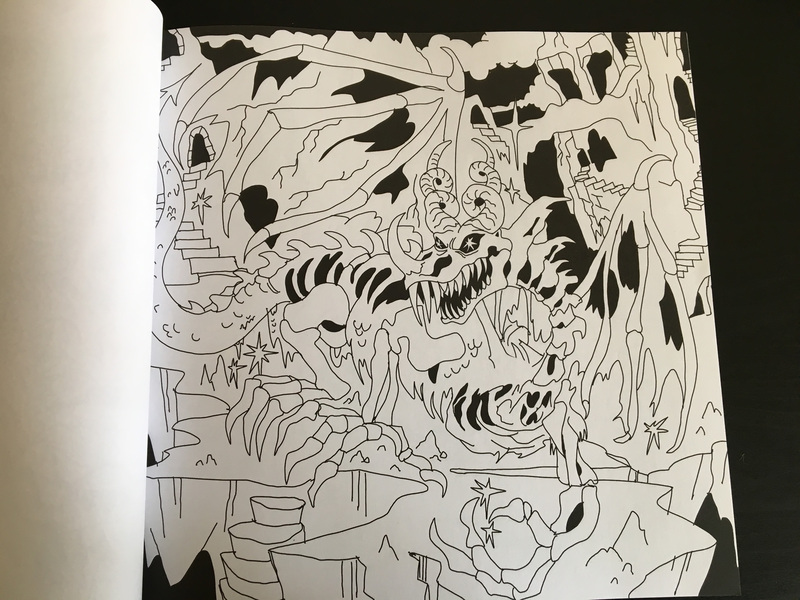 Visit D&D’s official product page to learn more or you can pre-order the book on Amazon. A review copy of this book was provided to Tribality by Wizard of the Coast.